* Our fully assembled Horse Stable features three large stalls with opening gates. * Natural Hard Maple posts and rails and a Baltic Birch plywood top and bottom give the stable great stability and durability. 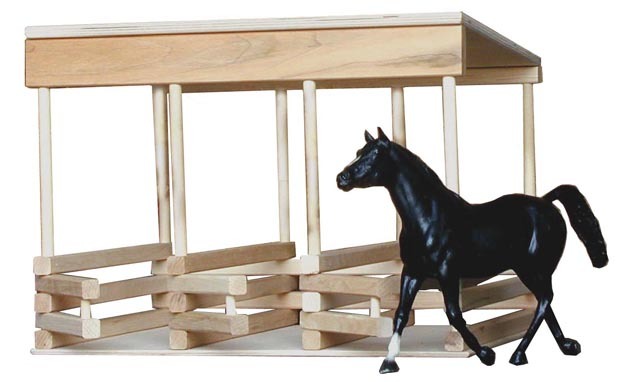 * Shipped fully assembled and ready for use, the Stable is roughly 19" across x 15" deep x 12" high.